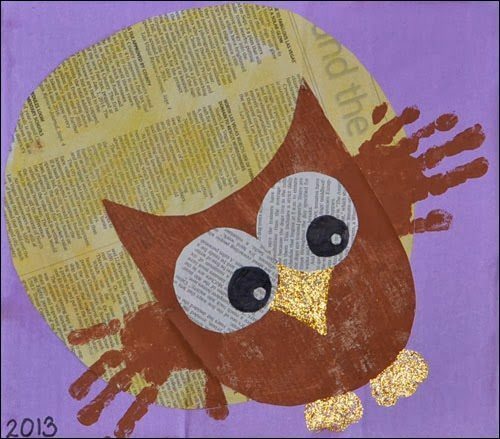 I absolutely LOVE the way this handprint owl newspaper art project turned out! My daughter and I made this as a fun mommy & me craft. Head over to the Gummy Lump Toys Blog to see how we made this and to see what my son chose to make on his.